The writings of James Otis arguably had more influence in America and England before 1774 than those of any other American except John Dickinson. John Adams pointed to Otis as the first man to have plumbed the depths of the argument between Britain and the Anglo-American colonies. 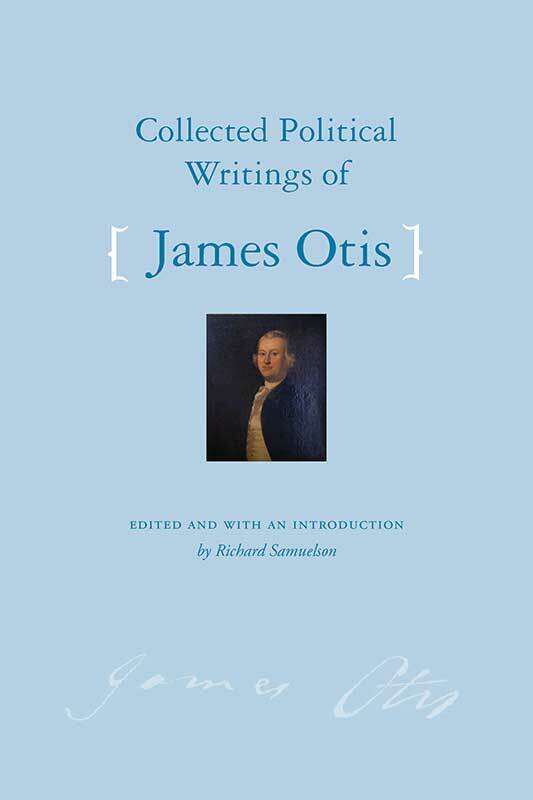 Anyone who wishes to understand the American Revolution, the American founding, and American political thought would benefit greatly from reading Otis’s political writings. Otis’s writings tackle enduring themes of American politics: the rule of law, individual rights, and federalism. Otis saw that the problem facing the Anglo-American colonists was the difficulty of reconciling their rights as British subjects, and as men, with continued participation in the British Empire. His proposed solution, a federally structured empire, with a proportionate number of Anglo-American representatives in the Parliament in London and the continued presence of Anglo-American governments, was unacceptable to almost everyone else at the time. James Otis (1725–1783) was a highly regarded attorney, practicing first in Plymouth and then in Boston. In the early 1760s, he became leader of the Patriot Party in Massachusetts. Richard A. Samuelson is Associate Professor of History at California State University, San Bernardino. He has published widely on the Founding era. Please note: This title is available as an ebook only. It is available for purchase on Amazon, Barnes and Noble, and iTunes. Introduction, note on the texts, James Otis chronology, section introductions (headnotes), annotations, Latin translations, bibliography and suggested readings, index.